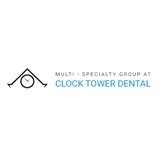 Clock Tower Dental (Franklin Square) - Book Appointment Online! Every patient has unique needs that require special care and attention. At Clock Tower Dental of Franklin Square, we believe that every patient deserves a comprehensive evaluation and custom tailored treatment options based on their goals and expectations. Our board certified dentists are specialized to care for you and all of your dental concerns.